A fresh recipe for the classic Picnic. 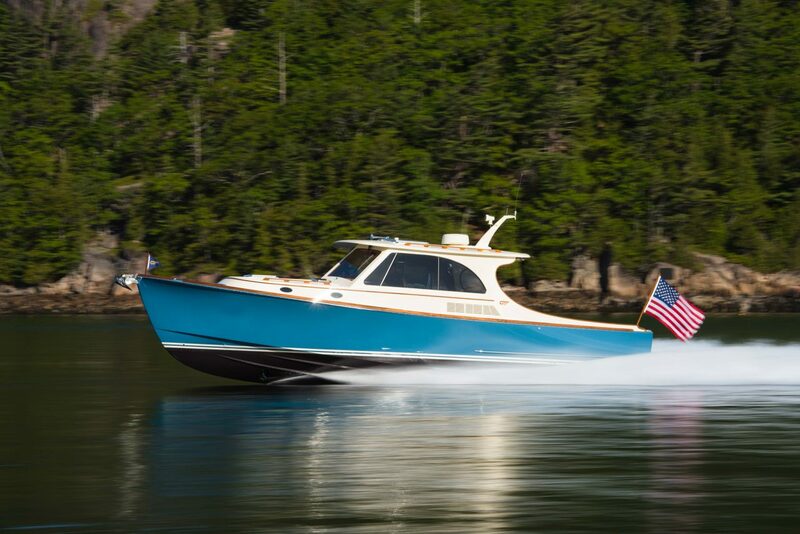 The Picnic Boat 40 brings a fresh perspective on the most successful Hinckley series ever built. In nearly 90 years of building the world’s most iconic yachts, Hinckley set a new standard with the Picnic Boat that has captured imaginations everywhere. 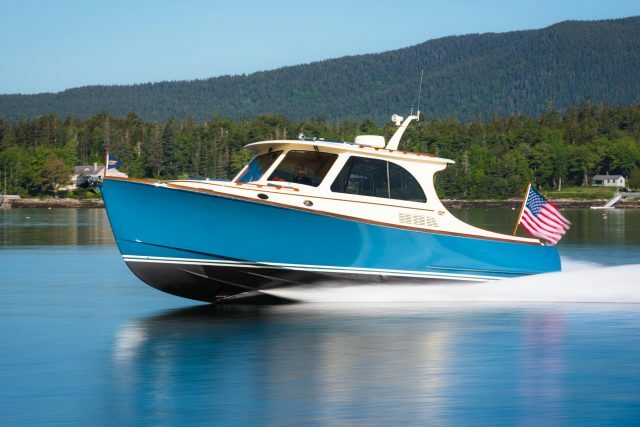 Beautiful lines, innovative systems and thoroughbred performance are hallmarks. The hull of the new Picnic Boat 40 was designed by top naval architect Michael Peters and is built in Maine. 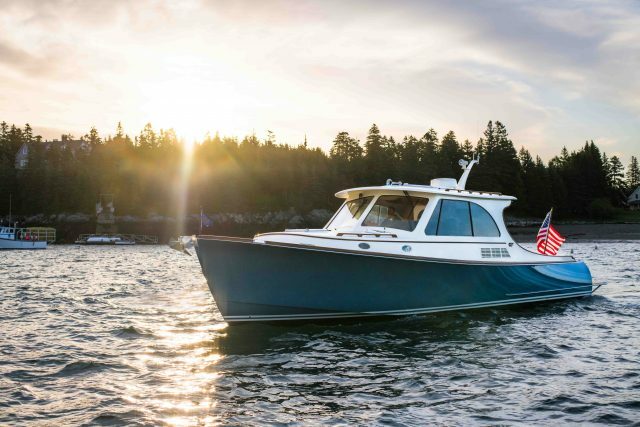 Hull construction combines an inner layer of carbon laid bow to stern with a companion outer layer of Kevlar for bulletproof puncture resistance. 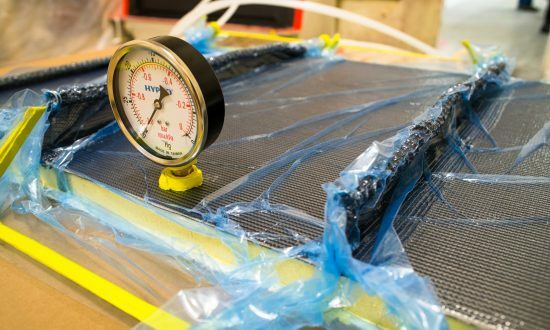 The cloth is laid up dry into the mold which allows fibers to be aligned to the computer-designed load paths. 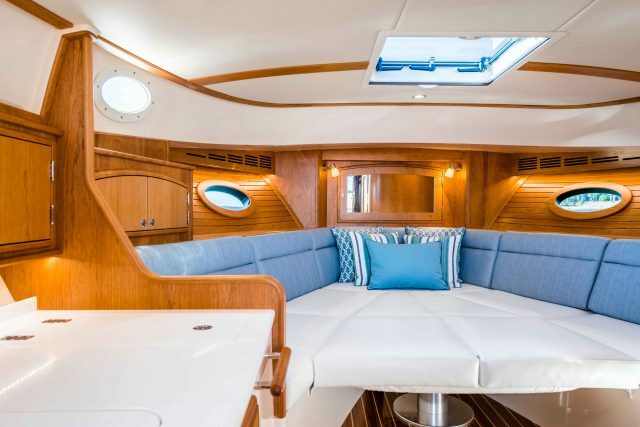 The structural grid is also dry laid up inside the hull mold and then everything is infused with epoxy at once to form a chemically bonded structure of incredible strength and durability. Our confidence in this approach is why we are unique among production and semi-custom builders in guaranteeing our hulls and decks for life. 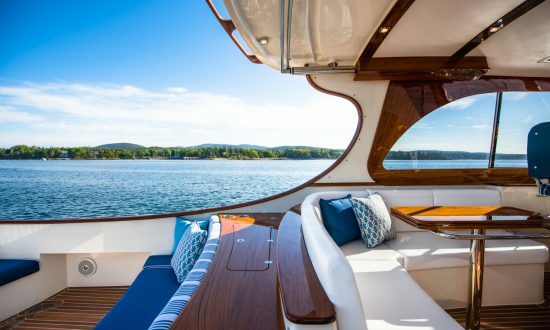 This focus on advanced composite materials and dry-laid single bond epoxy infusion results in a yacht of tremendous strength, seaworthiness and beauty. 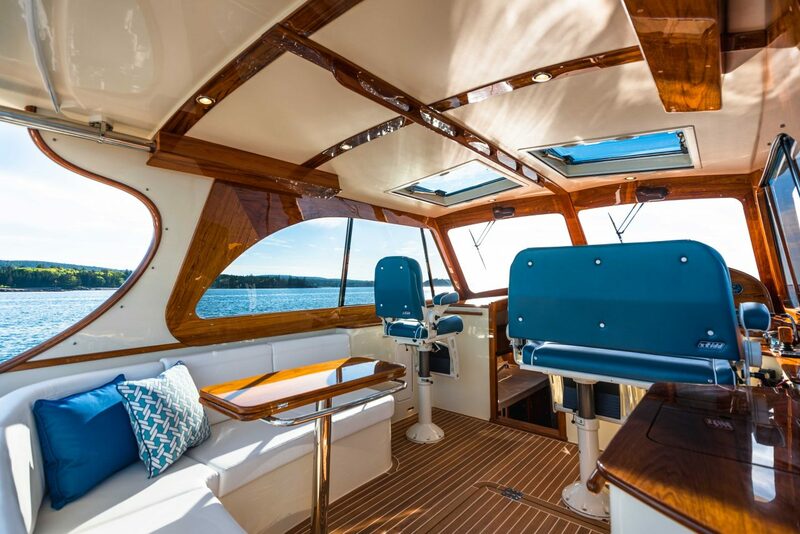 Weight savings in the hull structure allow for the signature teak woodworking accents which are Hinckley hallmarks. The innovations in hull materials allow us to provide the luxury on deck and below deck which our owners and their families love. 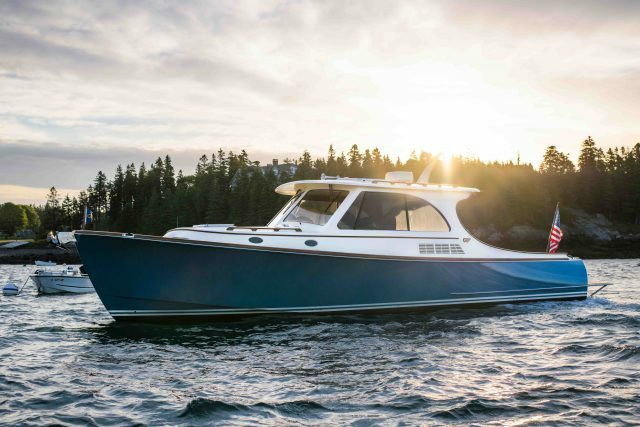 The powered hull-side door eases entry onto the boat and unlike all other hull side doors in the market, it can be remotely opened as you approach. Once opened, it stows inside the hull completely so that no cockpit space is sacrificed. 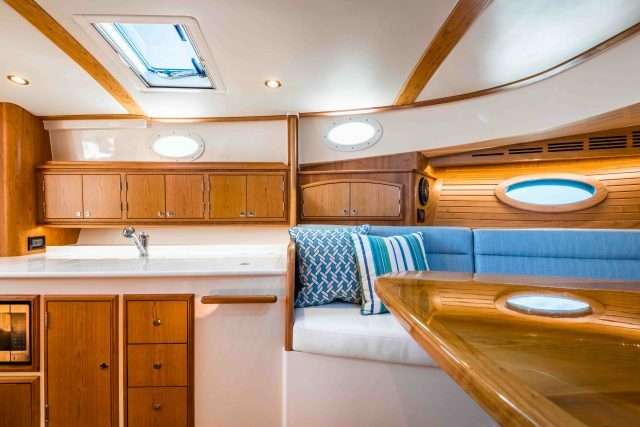 Inside, the completely reimagined layout features seamless flow from transom to helm, plentiful lounge space, a wet bar, and full sun covereage by SureShade. 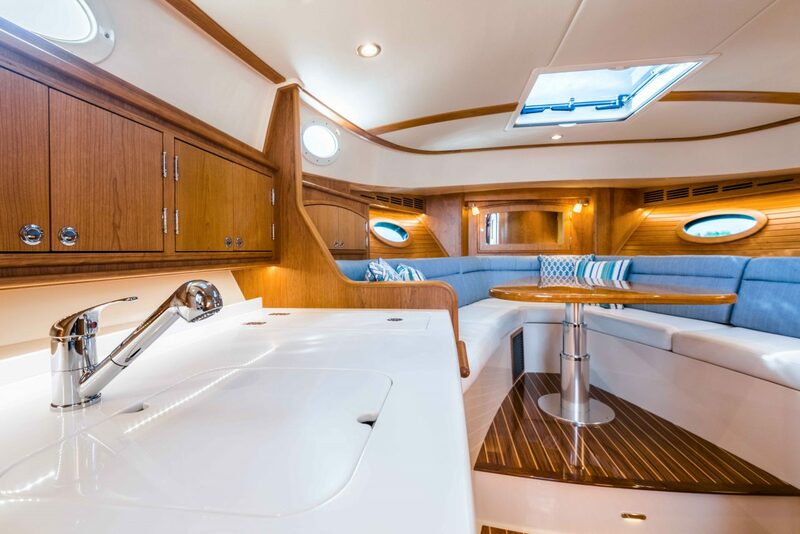 Digital switching allows you to easily transition the electronics from day mode to night mode at the touch of a button on the multifunction display. Dynamic steering adjusts the steering tension and controls lock to lock range as you change speed. 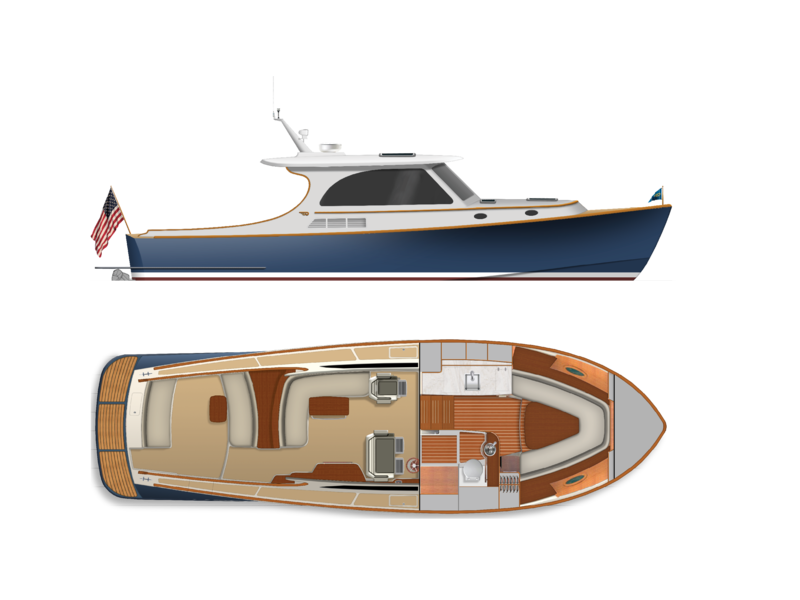 The completely redesigned Jetstick 3 allows easy navigation through tight turns and docking at tricky marinas. LENGTH, WATERLINE 36' 3 "
CONSTRUCTION All new Hinckley TriGuard® Epoxy Construction: Aramid fiber/E-glass outer skin with Corecell M foam core. Carbon fiber inner skin. Infused and post-cured with Epoxy resin using Seaman Composite Resin Infusion Molding Process (SCRIMP®). Deck: E-glass outer and inner skin with closed cell foam core. Laminated using Seaman Composite Resin Infusion Molding Process (SCRIMP®).